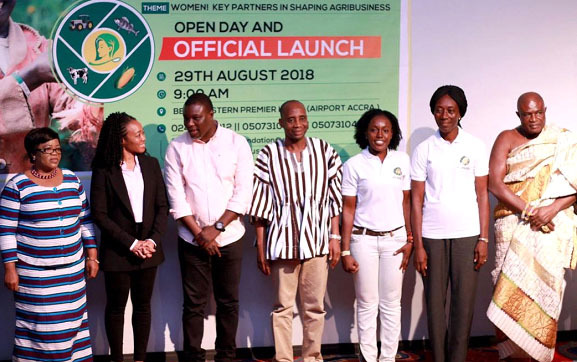 The maiden edition of WOFAGRIC, an exhibition, networking and training conference for women in food and agriculture, is scheduled to take place in the Volta Region. The event, which comes off at the Stevens Hotel from Wednesday, 12th June to Thursday, 13th June, 2019, is being organized by Agrihouse Foundation, in collaboration with the Ministry of Food and Agriculture, Women in Food and Agriculture Development (WIAD) and National Farmers and Fishermen Award Winners Association, Ghana. Other collaborators are the Volta Regional Council and Volta Regional branch of the Ghana National Farmers and Fishermen Association. Themed, ‘Women: Key Partners in Shaping Agribusiness’, Wofagric will focus on equipping agric-industry women with the skills to improve production. Alberta Akosa, Executive Director of Agrihouse Foundation, indicated: “While emphasis on women in agriculture has largely focused on the Northern Region in recent years, Agrihouse considers the Volta Region an ‘unsung hero’ that has rather unjustifiably endured underwhelming attention despite the impact of her industrious women in the agricultural value chain. She added that Wofagric seeks to commend the contributions of women, young female ‘agripreneurs,’ female students and women with disabilities for ensuring food security, poverty alleviation, employment creation and ultimately developing the country’s economy. A lot of activities are expected to take place at the event, which is open to women aged 18 and above. While research has shown that women produce 80 per cent of crops and own about one per cent of land, the Volta Region has been making huge contributions to the country’s food basket.